Did You Know There Were 21 African American Owned Banks In The Country? Many people claim they don’t keep their money in African American or Black owned banks because they are not aware of any that exist. Well, this article’s aim is to eradicate this line of excuses. 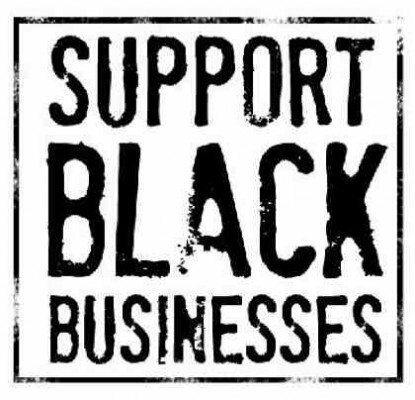 We are going to provide comprehensive list of the 21 African American owned banks in the United States. These 21 banks have total assets of approximately $4.7 billion dollars. This is a measly 0.43 percent of the $1.1 trillion dollars of annual spending power of the African American community. That’s right, we have over a trillion dollars in spending annually, but only keep $4.7 billion dollars of this in Black Owned Banks. NEW: We just put together a list of Black Banks in EVERY STATE, Click Here To Find YOURS! Many of you may not see a problem with this because the idea, or delusion, of multiculturalism has infected you. This is no accident. This is part of the same reasons in 1994 there were 54 African American owned banks, but only 21 remain today less than 20 years later. At this rate, we will be down to single digits in the next two decades or less, despite our annual spending power rapidly increasing. Another shameful reality in these figures is we are constantly complaining loans are not extended to black owned businesses, which is why they are on the massive decline as well. We are complaining, but if we just pooled a quarter of that $1 trillion dollars in spending power in these banks, we could fund more businesses than we have ideas. All of this without the touch, approval or need of anyone outside of our community. The bottom line, black community, is we must do better. They say when a people know better, they do better. Well? Now you are in possession of a list of the ONLY 21 black owned banks in the country. These banks all have majority, 51% African American ownership or more, black owners. What are you going to do with this information? Data from 2013: Latest here.